The 2018 Kia Niro Plug-In Hybrid is a new addition to Kia’s Niro lineup. Niro already has a regular Hybrid version, but this one increases the capacity of the battery and improves the fuel economy. It allows you to drive 26 miles on electricity only and to switch to the regular hybrid mode after that. The Niro doesn’t have the best fuel economy in the class, but it costs less than most of its rivals. It can go for up to 46 miles on one gallon of fuel. Compared to the Toyota Prius with maximum mpg of 58, it doesn’t look that much. What stands out about the car is its design. It is claimed to be a compact SUV. However, without an All Wheel Drive system and only 1 more inch ( 6.3 inches totally) of ground clearance than Kia Optima sedan, it is more a big four-door hatchback rather than an SUV. The car is available in three trims. The first one is the LX. It has a pretty basic set of features for this class, such as advanced driver safety aids, touchscreen display etc. The EX version includes more convenience-oriented and safety features. Finally, EX Premium is the “luxury” version with leather upholstery and premium audio. All of the trims are powered by the same 1.6 liters inline four-cylinder engine and electric motor combining for 139 hp. The engine sends power through the six-speed dual-clutch automatic transmission to the front wheels. 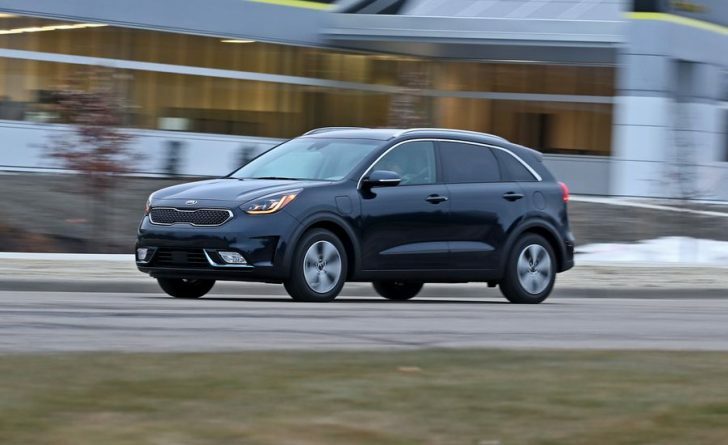 The Kia Niro Plug-In Hybrid has 2 driving modes. The first one is known as Eco. However, Kia thinks that people who care about the ecology do not need acceleration at all since it is very slow. The other mode is named “Sport”. This mode makes you feel more like you are driving a normal car. However, it’s less efficient and there is no in-between mode. This car will be perfect for younger adults, who want to save some money on gasoline and still be able to go outside of the city during the weekends. It is pretty comfortable for that price and does not look awkward. The price for the Premium model is $35,440. You can reduce that price by using the $4,543 federal tax credit, since it is eligible for it. For around $30,000 you will buy a new plug-in hybrid with all the needed safety features and extra space in the trunk.